A powerful yet gentle massager with four heads that helps relieve stress and aid in muscle relaxation. With the unique action of kneading, pressing and omni-directional twirling, this massager is perfect for use on both your head and your body. 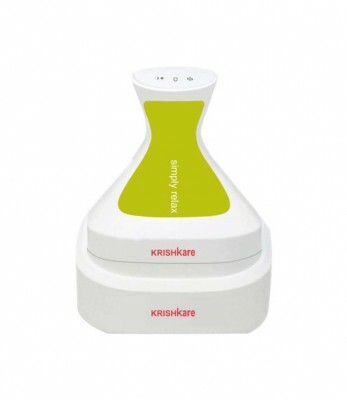 Made from organic materials, the massager is waterproof and splash proof, which means you can use it anytime you want. Cordless, this innovative, easy-to-use, portable massager helps provide maximum relaxation to sore muscles and rejuvenate yourself. Handy enough to carry with you answhere you need, and battery operated for convenient use.